Please join us for a talk by David R. Mitsui, grandson of WWI veteran Sgt. Masumi Mitsui. When the Canadian federal government put out a call for more recruits to fight in Europe in 1915, the Issei in British Columbia created the Canadian Japanese Volunteer Corps, as a way to demonstrate their allegiance to Canada and show that they were worthy of having the rights of full Canadian citizenship. This is the legacy of the Issei fought for Canada during World War 1 in spite of discrimination. However, due to racial and discriminatory attitudes amongst the military leaders and also within both the provincial and federal governments, the Corps was disbanded and the Issei were not permitted to enlist in BC. In 1916 at least 227 Issei volunteers travelled to Alberta to enlist individually in the Canadian Expeditionary Forces. 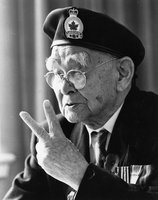 In spite of serving King and Country, 54 Japanese Canadians making the ultimate sacrifice, and 13 Japanese Canadian soldiers being decorated for their bravery on the battlefields of Europe, their return to Canada after the war was marked by those same racist and discriminatory attitudes. NNMCC . Last modified Nov 17 2016 3:51 p.m.